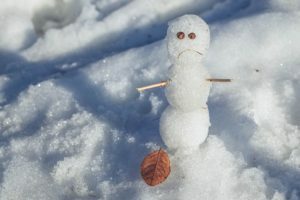 Home Blog Does Winter Make You “SAD”? Daylight Savings has come and gone. Temperatures are dropping. Days are shorter. You’re eating dinner after dark. You are dreading the long slog to the return of spring. Many people may feel mildly “depressed” during the winter, but some people have more severe bouts of feeling down all the time. They feel low energy and have problems with sleep and appetite. They find they have lost interest in activities that formerly engaged them. Reduced concentration makes it difficult to function well at work or at home. We say that these people have clinical depression, or “major depressive episodes”, to distinguish these more severe symptoms from normal everyday ups and downs. Think this might apply to you? Read on to learn the symptoms, who is more likely to experience SAD, and what you can do to help yourself or a loved one who is suffering from its symptoms. SAD It is a pattern of major depressive episodes that occurs in sync with seasonal changes, usually winter, and for that reason is sometimes called winter depression. People with SAD experience mood changes and symptoms similar to depression. The symptoms usually occur during the fall and winter months when there is less sunlight and usually improve with the arrival of spring. The most difficult months for people with SAD in the U.S. tend to be January and February. While it is much less common, some people experience SAD in the summer. The DSM-5 describes SAD as a sub disorder under depressive disorders. Major Depressive Episodes that occur in a seasonal pattern that are characterized by significant energy changes, increased sleep, overeating, weight gain and carbohydrate cravings. Who is most likely to experience SAD? According to the American Psychiatric Association, about 5 percent of adults in the U.S. experience SAD and it typically lasts about 40 percent of the year. While anyone can experience SAD, it typically starts when people are in the 18 to 30 age bracket. It is more common among women than men. Those with a family history of depression or mood disturbances are more susceptible to SAD. It is more common in people living far from the equator where there are fewer daylight hours in the winter. SAD has been linked to a biochemical imbalance in the brain prompted by shorter daylight hours and less sunlight in winter. The onset of autumn and winter causes many people to experience a shift in their biological internal clock or circadian rhythm that can disrupt their daily schedule. Sunlight plays an important role with our hormones and brain chemicals. The main chemical impacted by sunlight is serotonin. Serotonin is a neurotransmitter that impacts anxiety, depression and happiness. As a result, sunlight has an impact on our mood levels, and when we are exposed to decreased sunlight, our bodies and biological clocks feel the consequences. How can you identify whether you have SAD? SAD is more than just “winter blues.” The symptoms can be distressing and overwhelming and can interfere with daily functioning. SAD symptoms can vary from mild to severe. Common symptoms of SAD include oversleeping, extreme fatigue, increased appetite with carbohydrate craving, overeating, and weight gain. With more severe episodes, people may have suicidal thoughts. What self-help steps can you use to feel better? Speak up about how you are feeling when you are feeling down and extend kindness to yourself. Yes. Recognizing that you are struggling with the changes in the season is an important first step to feeling better. Getting support from a healthcare professional can give you the tools you need to take on the change of season. A mental health professional can diagnose the condition and discuss therapy options. She can help you to identify the thought patterns and emotions that impact your behavior. She can help you redirect these negative ways of thinking into more productive thoughts that will increase your sense of hopefulness, relaxation and energy. So if you think you may be suffering from SAD, don’t ignore your symptoms. Just because the weather is unpleasant doesn’t mean you have to feel that way too.